You’ll find us a moment’s walk from Camden Town tube station. Local bus routes include 24, 27, 31, 168, N5, N28, N31, 274 and C2. We ask all people on the guest list to donate £3 to the Columbo Foundation, which supports causes that are close to our hearts. At the moment we’re working in conjunction with Camden Music Trust, a charity that provides high quality musical opportunities for over 5,000 Camden school children every year. All shows are 18+. Everyone who comes to the venue must carry a valid form of ID. We only accept passports/national I.D’s and driving licenses. Ticket prices will be stipulated on the event listings on the What’s On page. Restaurant reservations are available for a deposit of £20 per person. You can book a table along with your ticket on or main vendors Ticketmaster & Ticket Web. Set times are always subject to change for one reason or another, right up until the day of the event but live music usually starts an hour after doors open. All of our bar and restaurant staff will know the set times once you enter the building so feel free to ask. 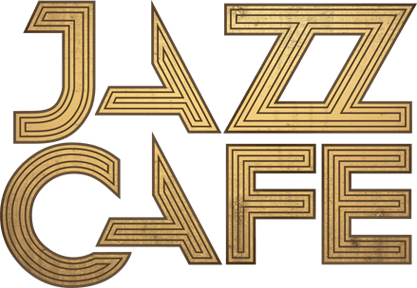 Everyone’s welcome at The Jazz Cafe, but if someone is making you uncomfortable or you feel they don’t share our values of respect, just let one of our staff know so we can try and resolve any problems. All restaurant tickets are sold online via the what’s on page. If you have a General Admission ticket and would like to upgrade to a restaurant ticket, please fill out the enquiry form on the restaurant page. Our venue is wheelchair accessible, unfortunately our restaurant is not. If you’d like to join us your carer will get free entrance, just purchase a General Admission ticket for yourself and then email the name of your carer to [email protected] and we will put them on the guest list. If you have trouble standing for long periods of time just let a manager know upon arrival and we will provide a chair by the side of the stage. Head here for our latest job vacancies.